Interviewing for a job as a doctor can be stressful, especially when its been a while since you may have had some practice. A way that some doctors choose to improve their interview skills is to work with a coach. During interview coaching, a doctor meets with a professional coach to learn strategies for being more relaxed about the interview process and of course to perform better. Should you work with an interview coach? And if so, how can you find a doctor interview coach in Brisbane? The most obvious reason is that interview coaching can help increase your chances of getting a job. There are a number of ways this can occur. Coaching can help you overcome any nerves or anxiety you have about the process. Coaching gives you a chance to experience answering many different interview questions. Coaches provide you with feedback to help improve your responses during interviews. The more you practice with a coach, the more confident you will become. By engaging with a coach you are also ensuring that you commit to your own practice regimen, which is important for a good performance. It's been awhile. 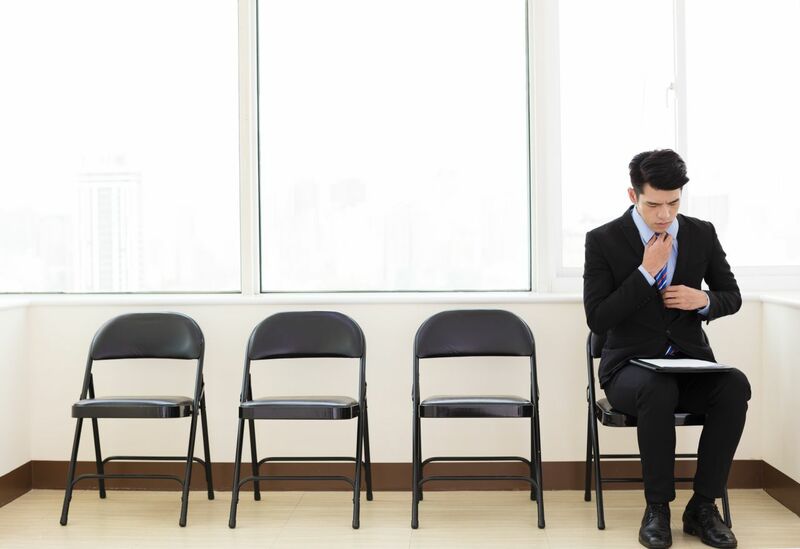 If it's been a few years since the last time you interviewed for a doctor job or if your last interview was fairly simple and you anticipate this one will not be the same, then a coach can help you rehearse and regain your interview confidence. You get nervous before interviews. A little bit of anxiety is good going into an interview. But too much anxiety can affect performance. Practicing with a coach can help you feel more comfortable, relaxed and prepared. You get interviews, but not offers. Often its difficult to get honest feedback from medical interviews. A coach may be able to help work out what is going wrong for you. You are not sure about something on your CV. Maybe you have had to have a break in work. Or your last job didn't go so well. Are you perhaps switching specialties. A coach can help you with how to tell the right story in relation to these sorts of issues. Its your dream job and you want to land it. A coach can help with feeling confident in these situations. On the other hand, if you're a confident interviewer and have always tended to perform well during interviews, then a coach may not be necessary. There are many types of interview coaching. Some coaches meet with you in person, and others speak with you online or on the phone. In general interview coaches work on something called “performance coaching”. Think of it like a sports coach working with an elite athlete. A key element is practice with feedback. The more practice and the more immediate the feedback the better. If you meet the coach in person or online, they can also help you develop effective visual communication. The coach can work with you on facial and body expressions that convey trust and show active listening. Coaches may also help you with other elements of the interview, including how to ask the right questions of the employer, how to research the job and the panel and even some advice on how to dress. What is their training and experience in interview coaching? What sort of knowledge and experience do they have with the actual interview process. Medical interviews can be fairly unique, particularly in terms of the types of questions asked and what panels may be looking for. So someone who has actual doctor interview panel experience is ideal. Do they provide face to face coaching or on the phone or online. Face to face may seem best initially. But consider that you may need to travel to see the coach and often during normal work hours. Phone coaching and online coaching may be more convenient and cut down on travel. What feedback is provided after each session. Phone and online coaches can often give you a recording of the session for you to review. What is the price of the coaching. If you cannot afford a coach, there are some opportunities for less expensive or even free coaching. Your Director of Training may be skilled in interview coaching or may be able to recommend another Consultant in your hospital who is. PrevPreviousTop 16 Resident Medical Officer Interview Questions With Answers. FRANZCP, MHA, GAICD | Medical HR Expert and Coach. Anthony is an experienced health public sector executive, medical educationalist and coach. Anthony is an expert in Medical HR. He has reviewed numerous CVs, chaired and conducted over a thousand job interviews and provided advice to a number of employers and Colleges about selection processes. Anthony's background: Consultant Psychiatrist and Medical Manager with 20 years’ experience as a medical practitioner in public health services in a range of roles. From 2012 to 2016, Anthony was the Medical Director of the Health Education & Training Institute (HETI), involved in overseeing a number of network training programs. He is also a Senior Lecturer at the University of Newcastle’s School of Medicine & Public Health, and Year 5 Psychiatry Coordinator. He is currently completing a PhD in Medical Education, exploring personal learning environments in the intern training space. Anthony recently delivered for the Royal Australasian College of Physicians a Best Practice Guide for Trainee Selection into Employment Roles Anthony was born on Mouheneenner land in Hobart (Tasmania) and pays respect to the traditional owners of lands he lives and works on, and elders past and present. His two most important roles in life are proud husband and proud father of two boys. If You See Something You Like. Please Consider a Click. It Helps The Site. Interested In Knowing How Much Specialty Trainee Doctors Earn & the Rates of Registrar Pay? We Break It Down For You In This Blog Post. Salary of Australian Doctors. Surgeons, Physicians & Others. Dr Rebecca Stewart guest blogs for us on an important question. Rebecca is a GP and Medical Educator who is passionate about supporting competence and excellence in medical education, research and evaluation. Rebecca offers a range of training supports to doctors undertaking general practice training via MedEd Experts. Send us an email we would love to hear from you. 2,500 subscribers already enjoy our regular Newsletters with Bonus Content and Special Ofers.